Here's what we know officially about Star Wars movies right now; Episode IX is shooting soon and will be released next December, Rian Johnson is working on a new trilogy and David Benioff and D.B. Weiss are working on a series of movies. Beyond that, everything else is largely rumor and speculation. Lucasfilm has various projects in development and one of those projects is almost definitely (but not officially) the Obi-Wan movie. Recently, it looked like the studio was hitting the pause button on such standalones, but perhaps they're just shifting strategy? Case in point, a new rumor suggests the Obi-Wan standalone may be heading to Disney's streaming service. We must caution that this is just a rumor for now so don't get too excited or upset, depending on your view. That said, The Playlist is reporting that there is a chance the Obi-Wan Star Wars spin-off could be a movie that is produced exclusively for Disney's upcoming streaming service. The studio plans to launch the service next year and will need exclusive content to attract subscribers out of the gate. Having an exclusive Star Wars movie would certainly be one way to do that. Star Wars is going to be a major factor in attracting subscribers to Disney's as-of-yet unnamed streaming service. They already have Jon Favreau's TV series, the first ever live-action series in the history of the franchise, set to arrive with the service. The show will take place after the events of Return of the Jedi and prior to the events of The Force Awakens, an area of time that hasn't been previously explored in live-action on the big screen. Couple with that the return of Ewan McGregor as Obi-Wan Kenobi in his own standalone and that brings a lot of attention. Currently, it looks very much like Lucasfilm is going to focus heavily on Star Wars 9 for the time being and will take some time to figure things out behind the scenes before announcing their next move. As it happens, there are also rumors swirling that Ewan McGregor may show up in Star Wars 9 as well. What we're probably building to is a ton of official announcements being made at Star Wars Celebration in Chicago next year, which takes place in April. That will give them enough time to sort stuff out, let the dust settle from Solo, allow a bit more time for The Last Jedi backlash to die down, give fans a bit of a break and build anticipation. Ewan McGregor has expressed his desire near countless times to reprise his role as Obi-Wan and fans largely seem to be on board. The disappointment of Solo at the box office put the long-rumored project, as well as the Boba Fett movie, in question. However, the idea of making it for the streaming service changes the game. It's not reliant on box office and it gives Lucasfilm and Disney a chance to test the water a bit. If that goes over well, the Star Wars strategy for the future could shift in a big way. Trilogy/saga movies on the big screen, standalones on the streaming service? It's something to think about. Again, it's just a rumor for now, but an intriguing one at that. This news comes to us courtesy of The Playlist. 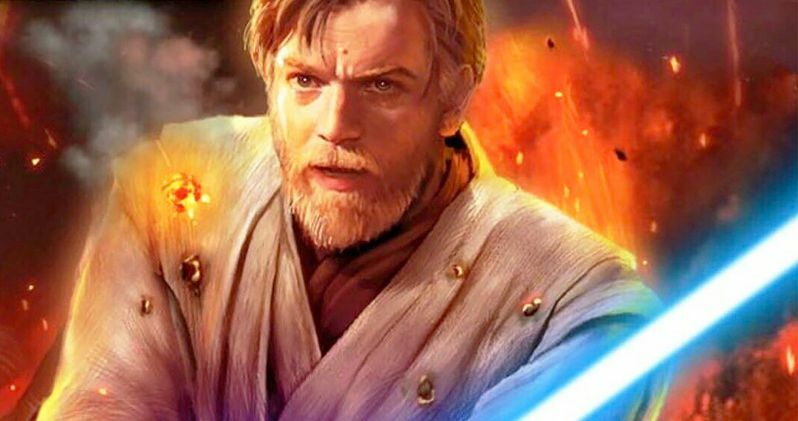 Obi-Wan Kenobi Movie Still Targeting Spring 2019 Shoot? Obi-Wan Movie Lost Its Director Before Solo Was Released? All Star Wars Spin-Off Movies Are on Indefinite Hold? Obi-Wan Kenobi Movie Title and Synopsis Leaked?